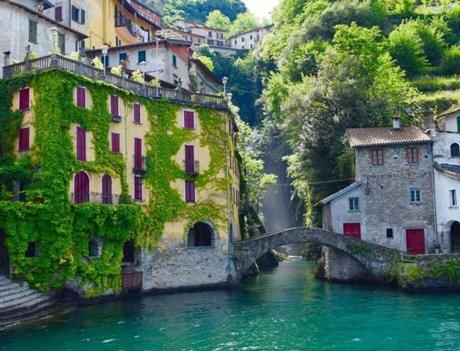 Italy is a country so charming that it will hypnotize you with its wonders and beauties. Italy from the ancient time has had a major impact on the world. From the fashion capital of the world, Milan to the great Roman Colosseum, Italy is a hotspot for travelers. Whatever may be your reason to visit the country, the following places are those you don’t want to miss experiencing at any cost. Located in Rome, Italy, this amphitheater is the largest one ever built. The oval-shaped arena was built in the 70th century A.D and served primarily as a gladiator arena while being also used as a hunting ground and occasionally some dramas and spectacles for the local public of the city in the era. Build out of limestone, tiles, and concrete, the building was disassembled partly to reuse the materials for houses, shrines and other buildings. The monument is one of the most visited places in the world with hundreds of people visiting every day. It is a quite a spectacle and Colosseum itself recites its Ballad of magnificence. Another world-famous historical site and a construction marvel in Italy for you to visit. It is one of the most recognized places on the earth. 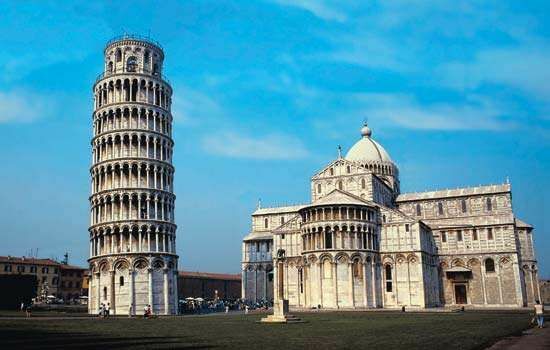 The tower is one of the four historical structures at the ‘ Piazza dei Miracoli’ at Pisa. The place is surrounded by markets selling souvenirs and articles. It is fairly accessible via public transport and is absolutely stunning from up close. Enthusiast or not, this monument is bound to spellbind you with its grandeur. 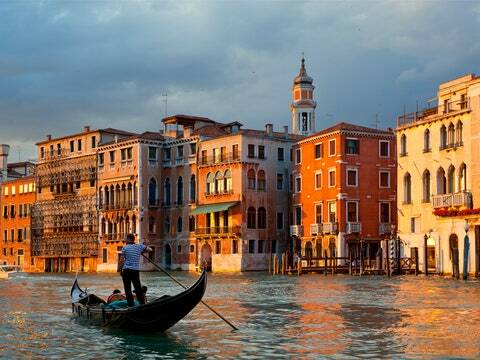 ‘The city of love’, Venice is a unique city being situated on a group of 118 islands and connected through canals. The city boasts of these canals as being the highways as there are almost no roads. The city is divided into two by the Grand Canal. The city is quite substantially famous for its Gondola rides in these canals. These gondolas are themselves pieces of eye candy and might spare you one of the most romantic canoe rides in your life. The city’s beauty and its rich cultural heritage such as The Saint Mark’s Square make it one of the best places to visit in the country. It is not just another movie name or a song title; it is one of the most magnificent places to visit in Italy. The city has one tragic story, it was a big thriving Roman City with sophisticated planned buildings but was buried under ash by an eruption of the volcano, Mt Vesuvius. The city was forgotten for nearly 1700 years after it was excavated in 1748. Walking around in the ancient streets gives you nearly a firsthand experience of the life of a common person in the Roman Empire. The place has almost perfect ruins of all the city’s necessities such as baths, bakeries, and houses. 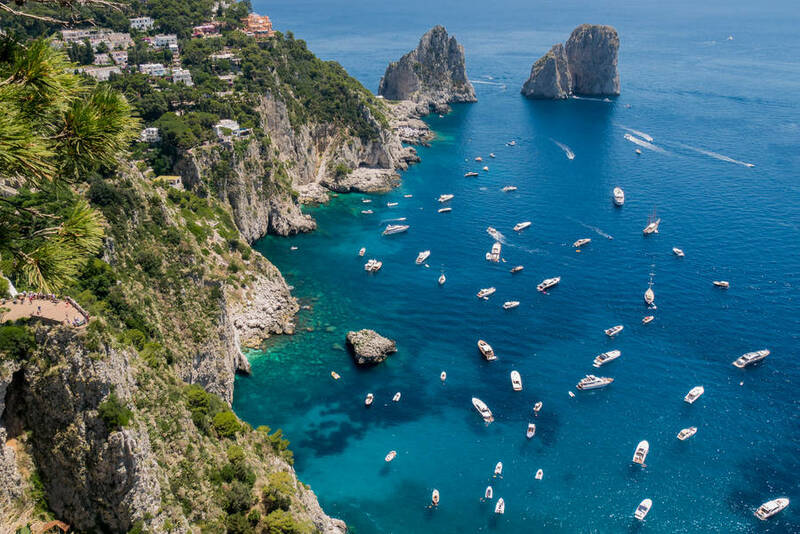 The 50-kilometer coastline along Italy’s Sorrentine Peninsula, this place is this place offers tremendous beauty. The rugged coastlines with small beaches and sheer cliffs make it a totally mesmerizing place to be. The small towns with crayon color buildings and huge villas make it a very relaxing and allure you to forget all the sorrows and enjoy the place. It has various resorts and restaurants that make it a perfect holiday destination away from the hassles of the regular life. An island in the Bay Of Naples, it is the place with beautiful landscapes, upscale shopping, and resorts. The water is electric blue like you will never see anywhere else. The place has a rugged coastline with a lot of sudden cliffs. The underwater caves provide quite a spectacle when the blue water meets the sunlight. The place is popular among the Hollywood stars and hence sports many high-class shopping brands. For the common people, the place has a lot to offer in terms of beauty, adventure, and food. The birthplace of ‘The Godfather’ and the Mafia is an autonomous island to the south of Italy. Quite publicised by the Hollywood in the Mafia movies, the place is a lot more than you might have imagined it to be. It is rich in culture and boasts many churches and temples. The place sits on Europe’s tallest active volcano, Mt Etna which adds to its natural beauty and is an undescended work of nature. The capital of the Italian state of Tuscany, Florence has always been an important city in the history of Italy. The city was the center for the renaissance and has also been called ‘Athens of the Middle Ages’. The city was one of the wealthiest in olden times and this can be seen with the eye. The city is the hub for Renaissance art and sculptures all around. There are a number of churches and Cathedrals accompanied by numerous sculptures and monuments of the Middle Ages. 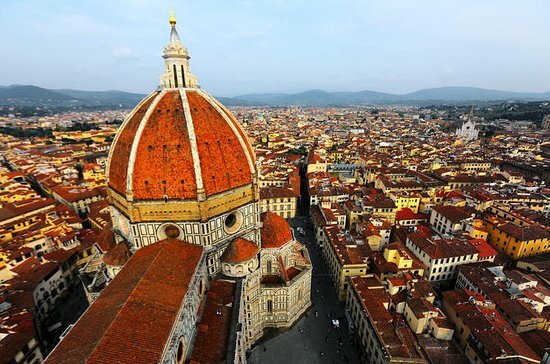 The best-known site of Florence is the domed cathedral of the city, Santa Maria del Fiore, which is the World’s largest dome made out of brick and mortar. Also, the city’s skyline still echoes of its heritage rich and important past. Literally translating into ‘Five Lands’, Cinque Terre is a group of five towns that date centuries back in history. The town is full of beautiful landscapes and small colored houses that hang along the steep terraces supporting Centuries old Vineyards. The place is famous for its local wine and its seafood. There are also many trails through the mountains that date centuries back and lead to mesmerizing landscapes and sunsets. The second most populous city in Italy after Rome well justifies its status as the ‘Fashion Capital of the world’. 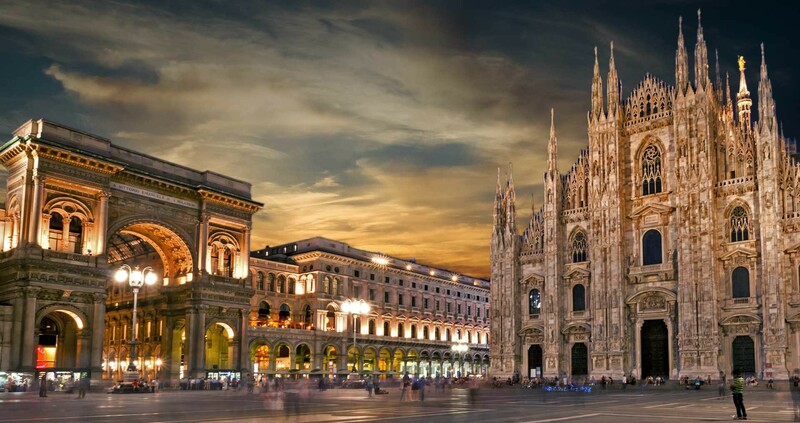 The city is a hub for fashion enthusiasts all over the globe and attracts many to the world renowned and anticipated Milan Fashion Week. The city is the hub for all the Upscale Fashion brands in the world and a place frequented by a large number of celebrities. Coexisting in this Fashion Frenzy mega town are many historical gems that are worth a visit. The city hosts one of the most famous artworks in the world, ‘The Last Supper’ and many other from Leonardo Da Vinci and is also the home to one of the largest Goth Cathedral in the world. The two things the Italians do best is great architecture and great food, this city serves it all. Filled by the elaborately planned and beautiful architecture this city is among the most beautiful cities in the country. The Alps in the background create perfect scenery and looks like the mountains are descending towards the city as the clouds flow by. The city is also known for its food at restaurants and old Cafes that offer delightful food and chocolate. The city, of course, has its share of famous Cathedral, the Turin Cathedral which houses ‘ The Shroud Of Turin’ which is believed to be the burial cloth of Jesus Christ. 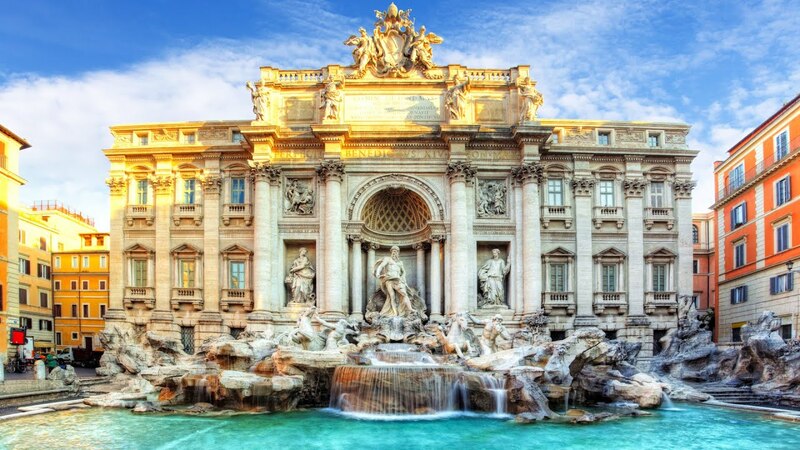 One of the most extravagant displays of the Baroque architecture, the fountain is situated in the Trevi district of Rome. The fountain at the junction of three roads marks the terminal point of the three aqueducts that supplied water to ancient Rome. Built in 1762, this is among the most recognizable fountains in the world being a part of many films. The fountain is surrounded by a large market with small shops selling various articles and food items. Also known by its Latin name, ‘Forum Romanum’, it is a plaza containing several excavates of important government buildings and leisure areas in the center of the present city of Rome. It was a day to day center of a Roman’s life and was also referred to as a marketplace. The space was used for a variety of tasks like setting up of flea markets, triumphal processions, gladiator matches, speeches, criminal trials and even elections. This was the most celebrated place in an ancient Roman’s life and the most visited one. The lake situated in Northern Italy is simply one of the most relaxing places in the world. The great Alps shadow the serene blue water of the lake giving a mesmerizing landscape for the eyes to feed on. The place is home to many upscale resorts frequented by the world’s elite from Presidents to film star, this is one place they all have been to. Other than the natural beauty, the city is in Italy so it compulsorily houses a number of Renaissance architectural marvels that are both appealing to the eyes and striking to the mind. Located around the ruins of a great Ducal palace, this city is famous for its independent renaissance culture that flourished under the Duke of Urbino, Federico da Montefeltro. Housed inside the Ducal Palace, is the National Art Gallery of the Marche which holds one of the most important collections of the Renaissance paintings and sculptures in the world. The picturesque city is situated at the steep slope along a hillside and is home to one of the oldest universities, The University of Urbino which is still a hub for modern-day students seeking great education. Italy is full of awe-striking beauty and architectural marvels that can never be recreated. The country’s rich heritage and brilliant ancient masterworks provide the country with its identity. The Romans built this place to last centuries and here we are admiring it centuries after it was built. It is said ‘ when in Rome, do as the Romans do’ and What do Romans do? They create beauty. So on your next vacation, Italy sure should have a place among the top options.